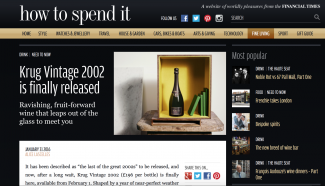 Alice Lascelles, writer for the Financial times, describes Krug 2002 as “the last of the great 2002’s”. 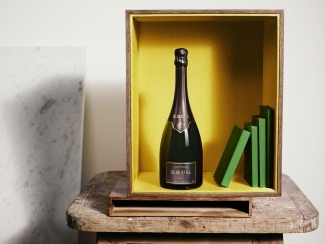 Officially launched 1st February, Krug 2002 has conjured up vast amounts of interests from buyers and drinkers alike. The decision to release the 2002 after the 2003 (a vintage Lebel described as “torturous”) came as a surprise to some, but the wine dictated it, said Lebel. To find out more and buy Krug 2002 follow the link here. The Finest Bubble offers same day delivery in London and next day elsewhere.